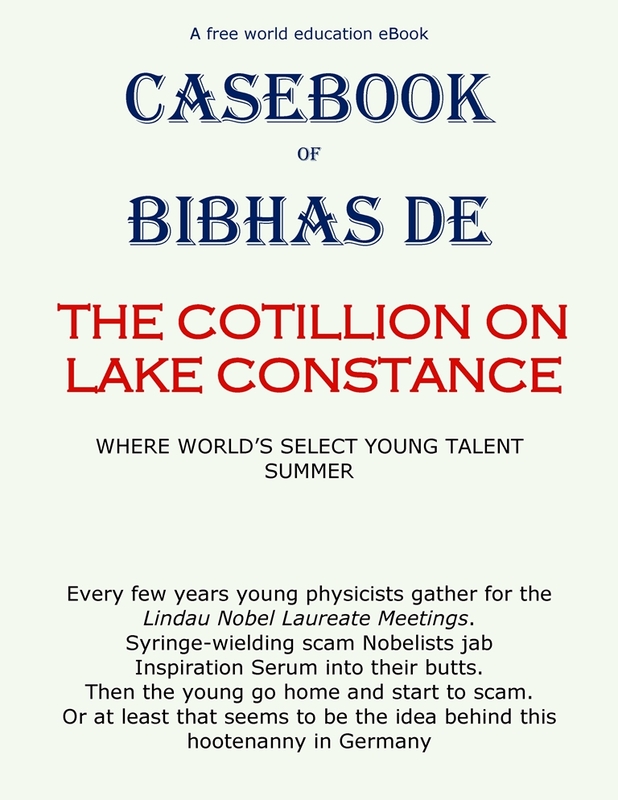 The Lindau Nobel Casebook it is here! 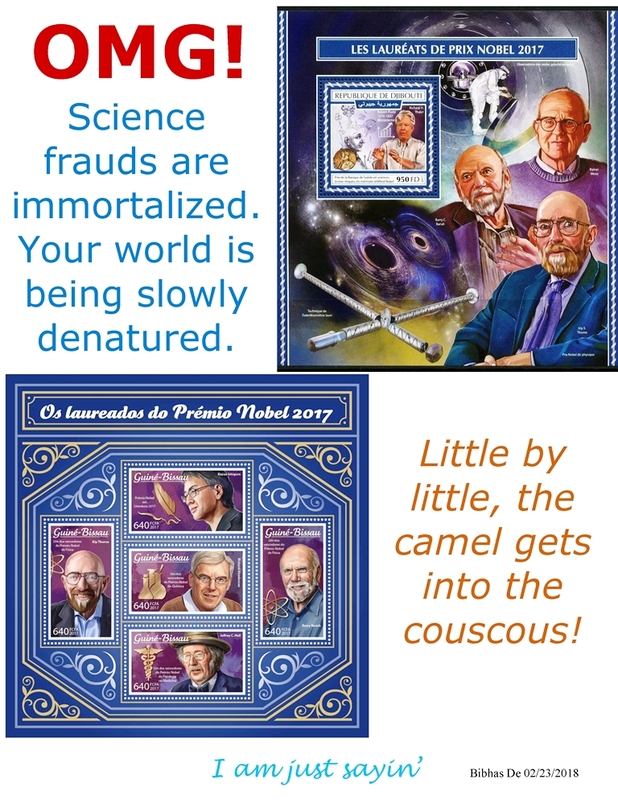 Posted in NASA's COBE Satellite fraud, Nobel Physics discoveries disappearing, The Brotherhood of the Nobel, Uncategorized | Comments Off on The Lindau Nobel Casebook it is here! 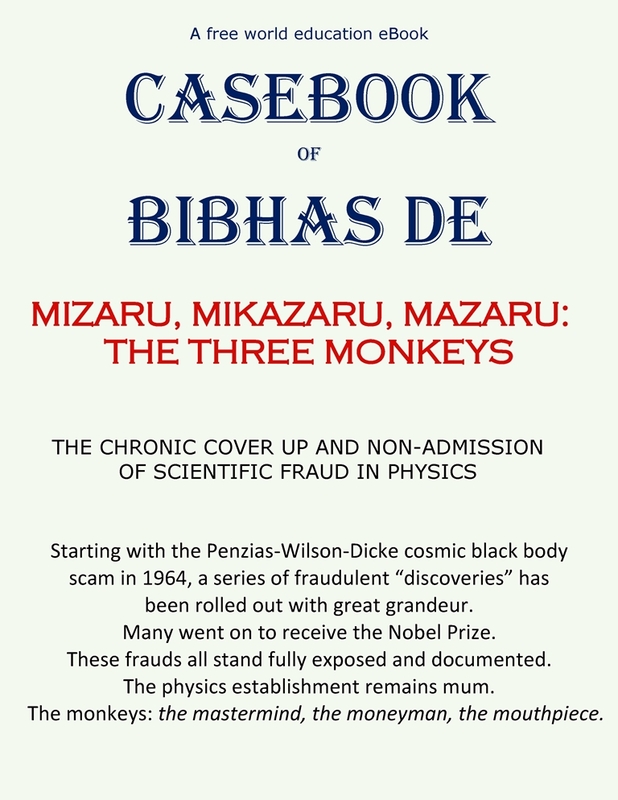 The Three Monkeys Casebook it is here! 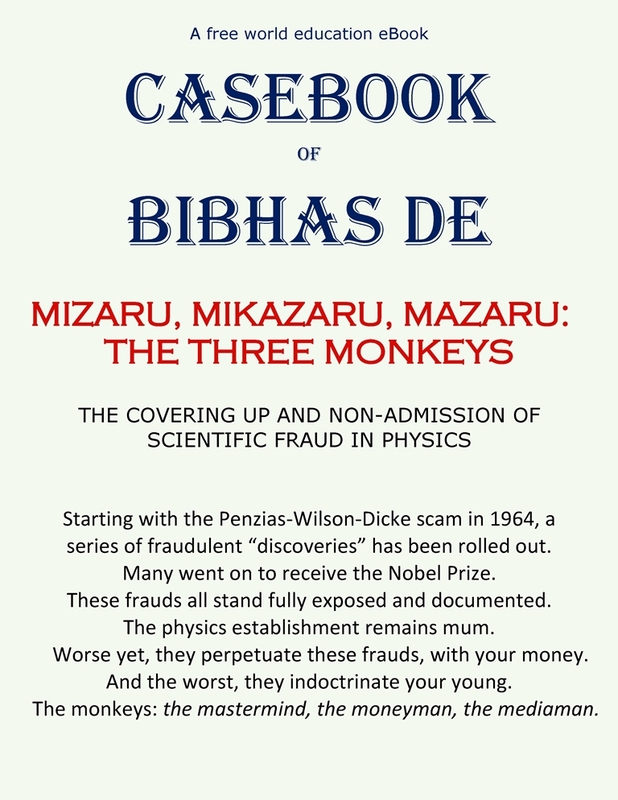 Posted in Physicists play citizens pay, Uncategorized | Comments Off on The Three Monkeys Casebook it is here! 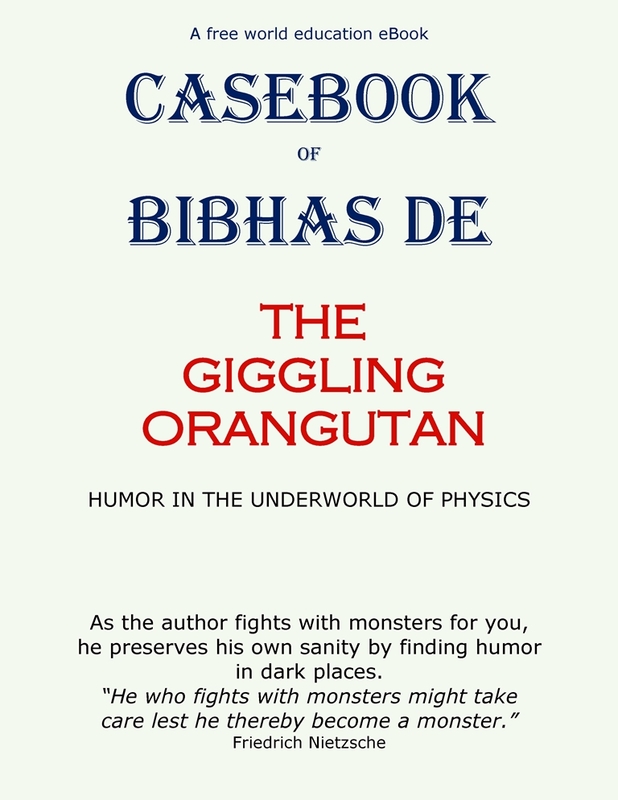 The Orangutan Casebook it is here! You can download my casebook here (~ pdf 8 MB). 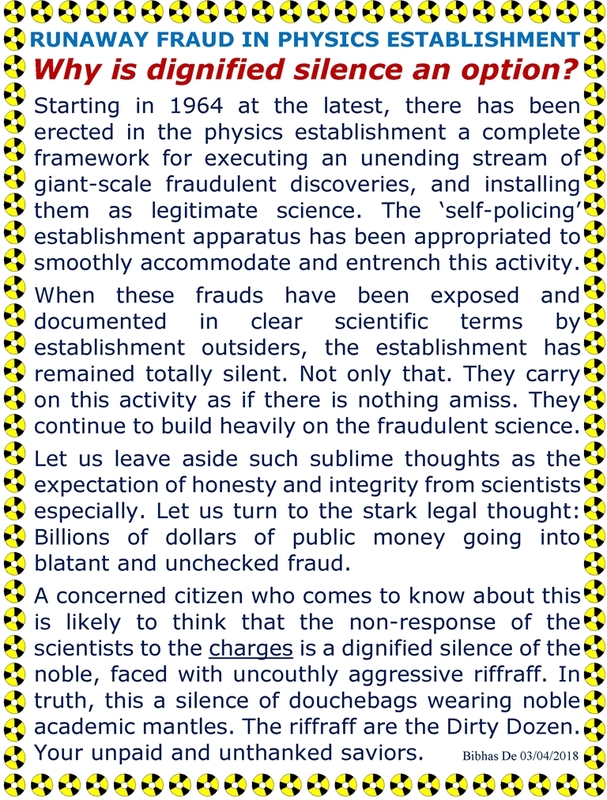 Posted in Advancing physics in the Age of Fakery, LIGO Discovery, NASA's COBE Satellite fraud, Physicists play citizens pay, Uncategorized | Comments Off on The Orangutan Casebook it is here! 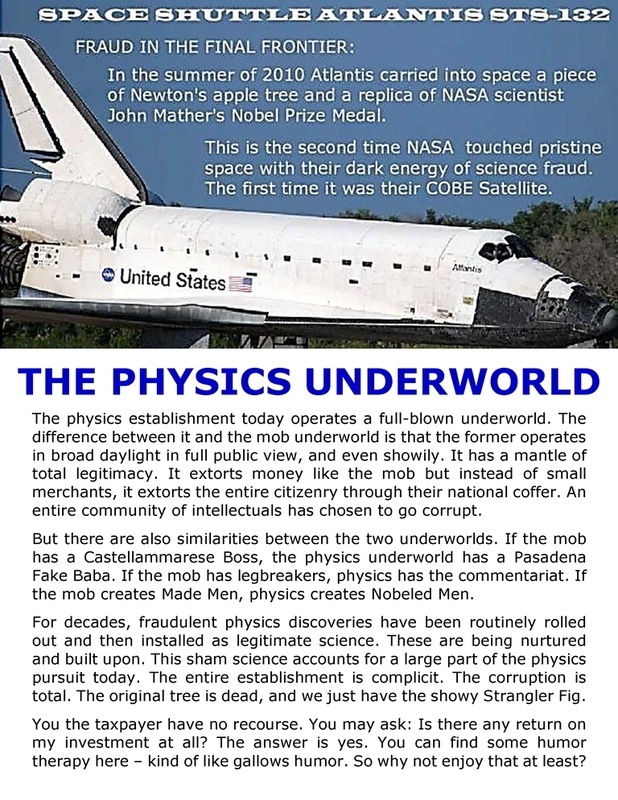 This casebook will be made up of some of my humor-laced graphic criticisms of the physics establishment. Many of my images have disappeared from the Internet during the web host move to a limited space plan. 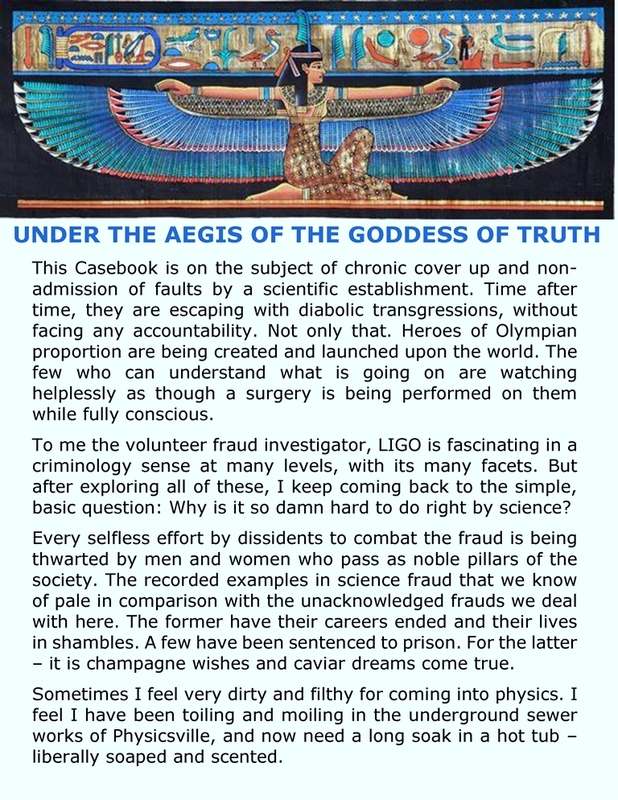 Some of these disappeared images are being included in the pdf casebooks. THE PHYSICISTS: Why is silence an option? In the legendary Penzias-Wilson discovery paper, no information was given about the polarization state of their antenna feed. From what information was available, I concluded that they were receiving linear polarization. If Penzias and Wilson wanted to receive the total power from CMB, their antenna would have to have received this power in two orthogonal linear polarizations, which powers they would then have to add. If they had gone through this elaborate instrumental process, they surely had to describe this in the paper as the most crucial information pertaining to the discovery. 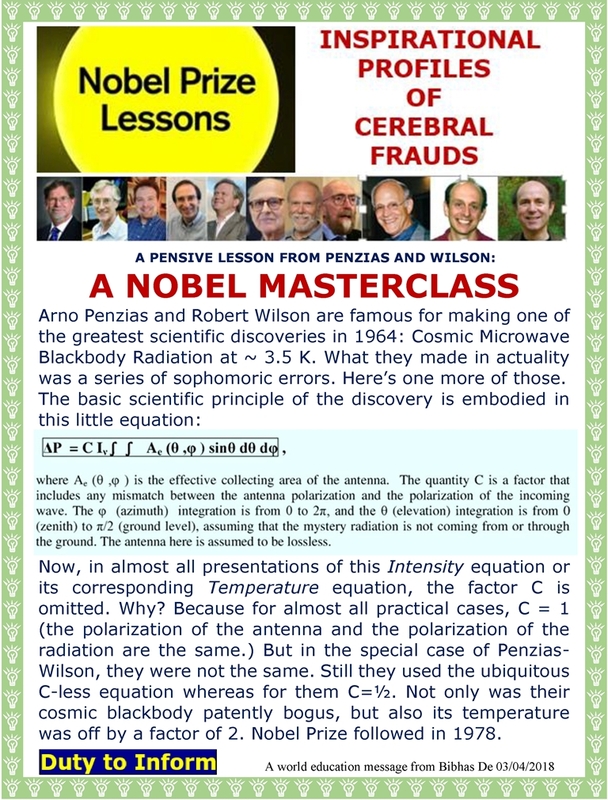 My inference: Penzias and Wilson were receiving unpolarized radiation with a linearly polarized antenna. They did not report this or any adjustments for this polarization mismatch. If you have been observant, you would have noticed that there was something unprecedented about the LIGO discovery. People moved with great dispatch on all fronts to entrench the discovery – as if out of some fear that something might outrun them. The prizes galore: A couple of the high profile prizes even waived their hard-and-fast nomination deadline to make the award to LIGO. What was the hurry? What difference would a year have made? Many heroizing books were published within a very short time. NOVA’s LIGO program Black Hole Apocalypse seems to have been fast-tracked. The Nobel Prize has never been awarded faster. 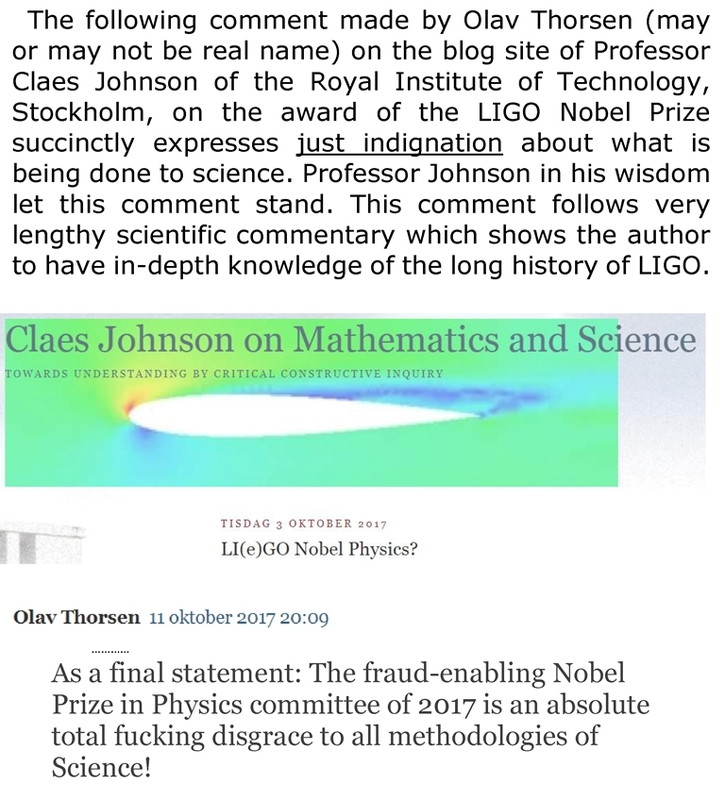 In 2016 a Swedish newspaper reported that a Nobel Prize-connected person had said (about the prospect of LIGO Nobel Prize) that it takes years or decades for them to recognize a discovery. This is because they want to make sure they don’t make any hasty errors, and the discovery stands the test of time. So why this unseemly haste? Soon there will be (if it is not already done) permanent LIGO exhibits in the Nobel Museum. Soon the names of the LIGO Laureates will be carved in granite on the Nobel Monument. The public outreach of LIGO is unprecedented for a scientific project. It proceeds vigorously on every outreach avenue there is today. These programs are run by scientific researchers who would put the Madison Avenue advertising experts to shame. You know what I’m sayin’? They have hijacked your civilization in broad daylight, and there is absolutely nothing you can do about it. Global Warming in the light of LIGO …. Folks, I am all in favor of our being good stewards of our planet. My support for combating harm to our planet is a motherhood thing. Who does not want to protect our home? I am in favor of doing some of the things man-made global warming proponents want to do anyway, regardless of the science. But if it is a matter of scientific debate, I have presented a whole new and highly disturbing dimension that must come into it. 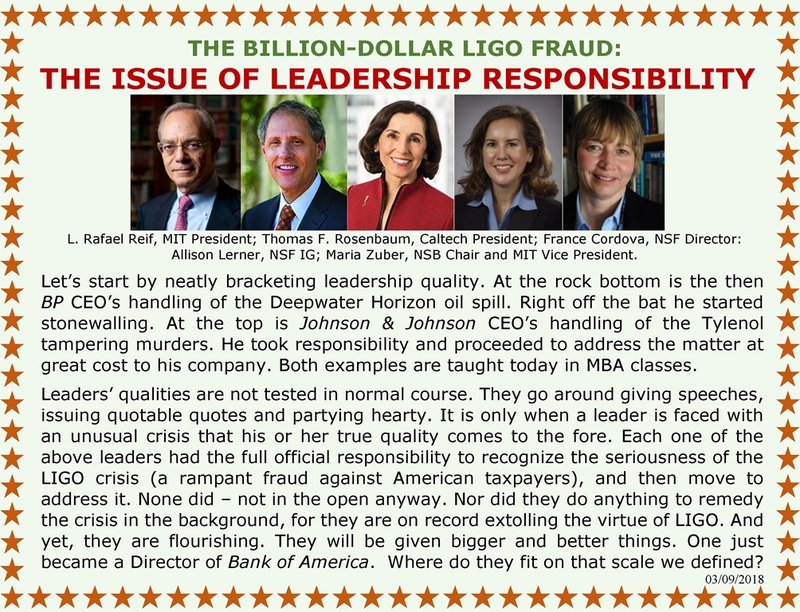 The LIGO project is the latest in a half-century long sequence of organized science fraud by the physics establishment. 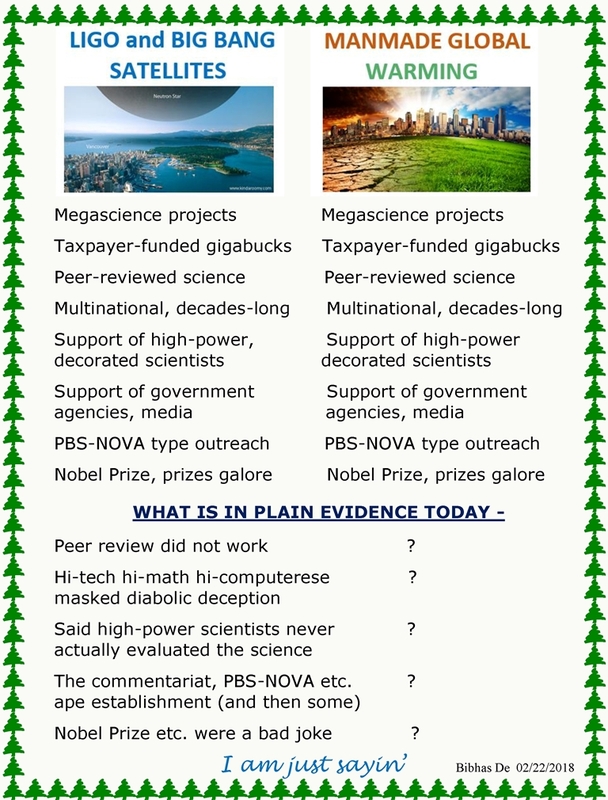 The science and technology involved here are some of the same science and technology involved in climate research, and the scientific methodologies are also similar.